Whatsapp has got alot of attention since its release. Proof of which is that recently Facebook Inc. acquired Whatsapp services for about US Dollars 19 Billion. Yeah, That’s huge. Now coming back to the point. Whatsapp is available on almost all phone’s now a days. 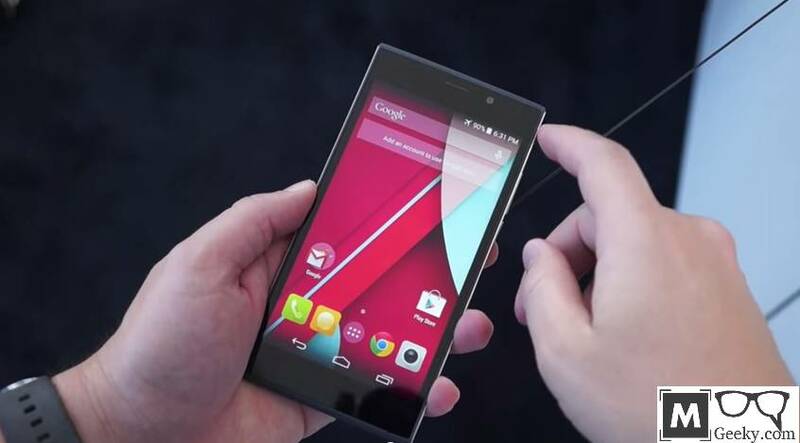 The phone is not required to be a “smartphone”, whatsapp also works on feature phones. 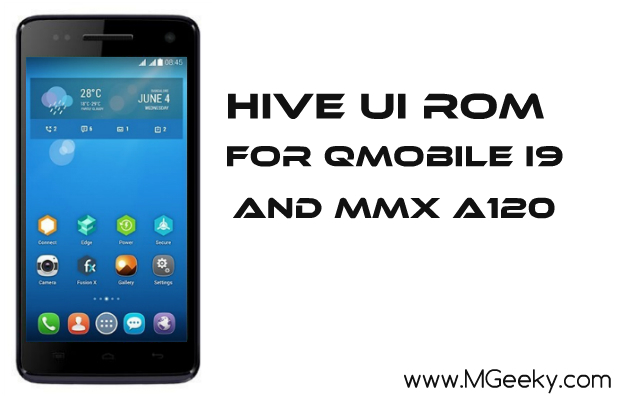 There is a new, sort of, trend of Dual-Sim Android Smartphones from different OEMs, like Samsung, HTC, Sony, Qmobile and some other Manufacturers. Whatsapp only supports 1 number and that may be a trouble for most of people looking for a Dual-Sim Whatsapp. 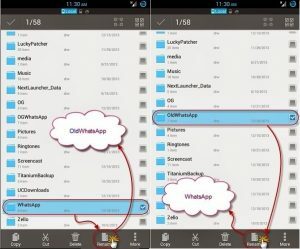 Not Anymore, Now you can use 2 Whatsapp accounts on one single android device at the same time. There is a simple workaround that you need to follow. We have made a simple step by step guide to make our readers understand better. 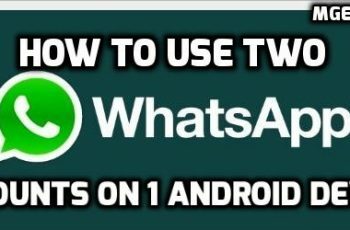 How to use two whatsapp accounts. First of all, you have to install Whatsapp from Google PlayStore. 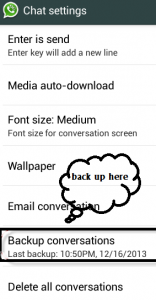 If you already have whatsapp installed, then you can skip to next step. Now open whatsapp, tap on menu button and select settings from menu. Now tap on Chat Settings and Select Backup conversations. Goto Settings->Applications and select Whatsapp from the list of apps, then tap on Clear Data. 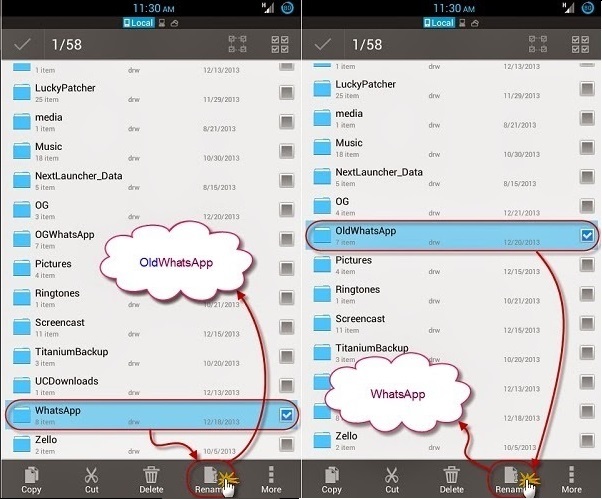 After clearing data of Whatsapp, You have to navigate to your SD card and Rename Whatsapp folder as OGWhatsapp. 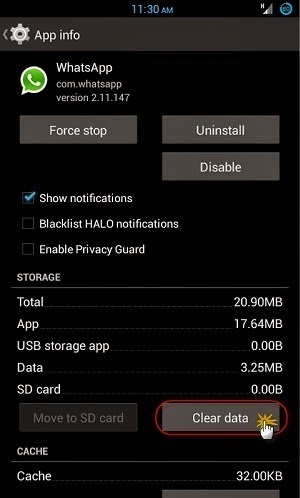 Now Go back to Settings and Unisntall Whatsapp from Settings-> Apps. 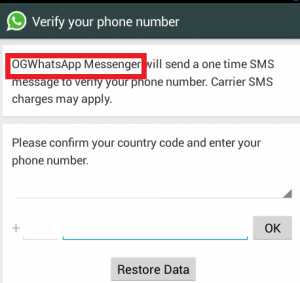 After installing OGWhatsapp, Open it, Verify your number and click Restore. All of your previous chats will be restored in OGWhatsapp. Next, Install the official Whatsapp from Google PlayStore and use 2nd Number this time. Please share this post with your friends on Facebook, twitter and Whatsapp 😛 Join us at Social media. Don’t forget to comment below, it helps a lot. 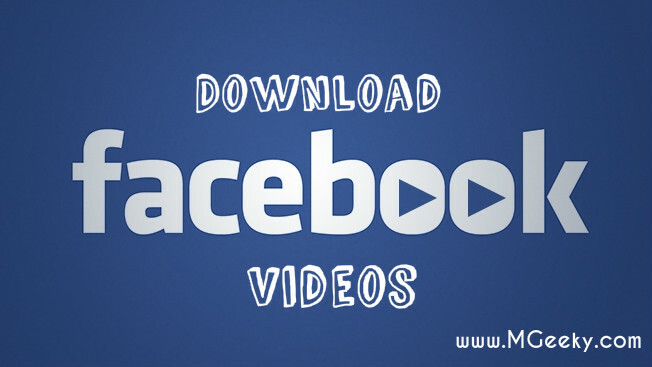 How to logout from Facebook Messenger App in Android?